Do you wish the Galaxy S10 came with the rotating Galaxy A80 camera? 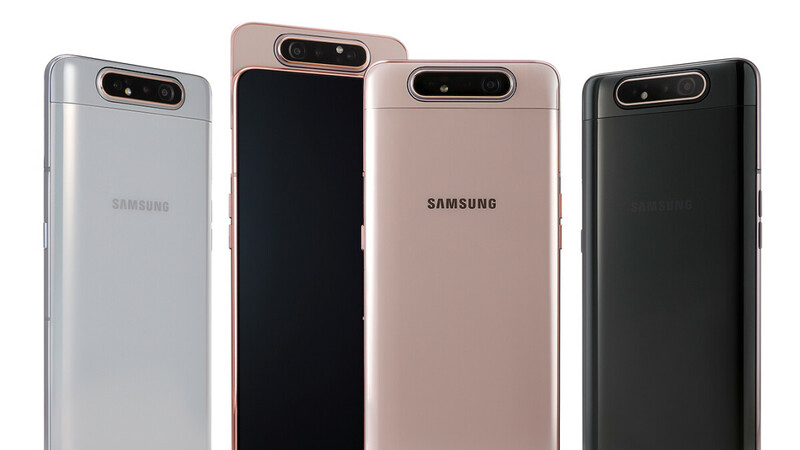 So, Samsung has given the midrange segment some love with the new Galaxy A80 — a colorful phone with an edge-to-edge display and no notches or holes for the selfie camera. Where's the front snapper, you ask? There is none! Instead, the phone is a slider with a swiveling rear camera (a triple sensor module, to be exact). A cool-looking solution, for sure, which will also give you the benefit of taking selfies with the handset's main camera, instead of a smaller selfie sensor. We wonder — would Galaxy S10 users get jealous over this? It's kind of awkward that a midranger would get the super-fresh sliding mechanism, while S10 models have a hole cut into their display to make room for a selfie camera. What say you? Do you wish the Galaxy S10 had the A80 swiveling module? Yes! What gives, Samsung? Nah... sliders and moving stuff... not for me. Nah... sliders and moving stuff... not for me. This is actually very cool and smart way to remove second cam. Usually adding moving parts isn’t a good thing in long run, but as an idea it’s great. Really weird and stupid looking phone. Its worse looking than s10. Be glad that s10 doesn't look like it. Look like an all screen phone? Huh? what? This is a really pointless & not well thought out comment. On point and very well thought out comment just like all of my comments. LoL. There is no phone innovation coming from America because the consumer does not tolerate differentiation. I doubt this phone will sell in US. Many other parts of the world will surely buy because of their acceptance to change. No thank you. That's a lot going on. I like it, it's different and cool. When oppo dod this many ppl said bad stuff about it. Kinda cool but, I like to s10 line just the way they are. The more moving parts, the higher the chances of something breaking. The trend in the last few years has been to hold on to your phone and wait to upgrade between one and two years, mostly towards two. Love the idea but kinda disliked the implementation. It's a very pretty phone tho, I've never imagined to see full screened phones with such thin bezels in this century! I would prefer to wait for in display camera for full screen display. My S10 already looks futuristic. I think the difference is good. also take into account, this phone is targeted more towards international customers in emerging economies where the Population is much younger and open to new things. Most folks in the states like the same stuff, a good example is Iphone users, the likely most the same, and apparently even Galaxy S nd Galaxy Note buyer. the A80 however will have alot of appeal to those how are really into pic/media and the market for that is very big. This is hot! I love it. I'm not too fussed about selfies or water protection... Put this in a flagship and I'll be interested. Only concern of course is durability in the long run. Honestly the single hole punch isn't a big deal, but having the rear camera's quality on the front is. Dont take much selfies so I'd have to say the S10 design. Sure, but they'd have to have a headphone port for me to even consider buying. it's definitely cool and will be popular in general i give you that but for me i dislike moving mechanics and wish less of it the better cause at the back end more moving parts equals more chances of mechanical failure. I am not a selfie person so i prefer the combo of full display of A80 plus the S10+ back camera.